MGM’s Medical College, Navi Mumbai was established in 1989. It is one of the best teaching and research institutions in Maharashtra state recognized by the Medical Council of India for undergraduate and various postgraduate degree, diploma and super specialty courses recognized by Medical Council of India. The College is a constituent unit of MGM Institute of Health Sciences, Deemed University. It offers postgraduate courses in 19 subject’s specialties and super-specialty courses in Cardiology and CVTS. The faculties are encouraged for participating in national and international conferences and presenting research papers, poster presentation etc. MGM CET 2017: Mahatma Gandhi Mission Common Entrance Test (MGM CET) is conducted by Mahatma Gandhi Mission Institute of Health Sciences for admission to five and a half years undergraduate program in Bachelor of Medicine and Bachelor of Surgery (MBBS). Admission/Seat Booking is going on for 2017-18 batch.. The Mahatma Gandhi Trust led by Visionary Chairman Mr. Kamal Kishore Kadam runs Mahatma Gandhi Missions Medical College also popularly known as MGM Medical College. The College has two Campuses one in Navi Mumbai and the other in Aurangabad. Both the campuses MGM, Aurangabad and MGM, Navi Mumbai are recognized by Medical Council of India (MCI) and also acquired a deemed status as per the UGC Act 1956. MGM Medical College, Navi Mumbai: MGM Medical College, Navi Mumbai has a well-established state-of–the-art laboratories for Serology, Molecular Biology, Immunology and Tissue Culture. Over the years, a large amount of clinical data has been generated. This has been used to develop models for Care and Treatment Strategies. The main focus of research is on HIV/AIDS, Tuberculosis, Dengue, Hepatitis, Malaria and Toxoplasma, etc. Models of Comprehensive Care for HIV/AIDS have evolved over a period of time with an integrated approach. The Central Research Lab is acclaimed both nationally and internationally, for its contribution in the designing of the best practices that have been adopted for a decade by the National AIDS Control Program of Ministry of Health, New Delhi. MGM, Navi Mumbai MBBS course has an intake of 100 Seats. Host of facilities are available for students study MBBS in MGM Medical College Like Digital Library, Central Mess, On Campus separate Hostel Facilities for Boys & Girls, Cafeteria and so on. MGM Medical College, Navi Mumbai admissions are done as per the relevant regulations of the UGC, MCI, Government of Maharashtra and other Statutory bodies Concerned. Admission MGM Medical College, Navi Mumbai is made through an All India Common Entrance Test – MGM UGCET 2017 conducted by the University. The selection of the students will be done based on the ranks obtained in the Entrance Examination. Please note that General Merit Admission for MBBS in MGM Medical College, Navi Mumbai is not available through AIPMT Counselling. MGM Medical College Admission 2017 matrix can change as it is subjected to norms of Government of Maharashtra & MCI Guidelines. Admission in MGM Medical College, Navi Mumbai is subject to meeting the minimum eligibility criteria. Among the total number of MBBS seat in MGM Medical College, Navi Mumbai i.e. 100, 85% of total intake (85 seats) will be filled by the MGM UGCET examination. 15% (15 seats) are Under NRI/PIO / Foreign National Category. Admission under NRI Category in MGM Medical College is based on merit of class 12 marks or Common Entrance Test conducted by MGMIHS. MGM Medical College, Navi Mumbai fees Structure is decided as per the guidance of MGM Medical College Admission Committee. Students taking admission in MGM Medical College by Entrance Exam have to pay approximately Rs. 9,50,000 per year. Tution fee of MGM Medical College, Navi Mumbai is payable for 4.5 years and the complete fee structure for MBBS in MGM Medical College, Navi Mumbai is Rs 43,00,000 (Approx). 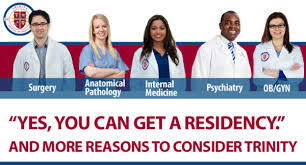 For more information on MGM Medical College Admission procedure contact us. Timings To Call 10 AM to 2 PM & 3 PM to 8 PM. Our Offices Locations : We are based In PUNE / DELHI / INDORE / CHENNAI / KOLKATA / PATNA / RANCHI / GHAZIABAD / GUWATHI / CHATTISGARH / NOIDA & BANGALORE. Mahatma Gandhi Mission (MGM) Trust, which was established in 1982, with a view to propagate education, research and service to humanity at large. In its journey of commitments to the nation for more than 25 years, the MGM Trust has established a number of educational institutions running mainly in Medical, Dental, Nursing, Engineering, Architecture, Management, Law, Journalism, Indian Languages, Music, Dance etc. These institutes of the trust are located at Navi Mumbai, Aurangabad , Nanded & Parbhani in Maharashtra and Noida in UP, having a strength of more than 15,000 students. All these institutions are run under the able guidance of Shri Kamalkishore Kadam, M.Tech (IIT-Mumbai), Chairman of the Trust and Ex-Minister of Education, Maharashtra and the trustees Shri Ankushrao N. Kadam (B.E. ), Dr. P.M. Jadhav (FRCS,U.K. ), Dr. S.N. Kadam (FRCP Edin), Dr. Nitin N. Kadam (MD,DCH) and Shri U.N. Kadam (B.E). The institutions under MGM Trust have achieved a mark of excellence in their respective areas over the years. By the year 2020, MGM Institute of Health Sciences aims to be a top ranking centre of excellence in Medical Education & Research. Students graduating from the institute will have all the required skills to deliver quality health care to all sections of the society with compassion & benevolence, without prejudice or discrimination at affordable cost. As a Research centre, it shall focus on finding better, safer & cheaper ways of diagnosing, treating & preventing disease. In doing so, it will maintain highest ethical standards. To improve quality of life, both at individual & community levels by imparting quality medical education to tomorrow’s doctors & medical scientists & by advancing knowledge in all fields of health sciences through meaningful & ethical research. 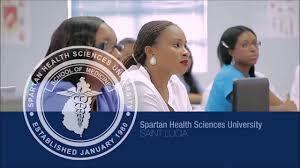 UG Courses conducted with intake MBBS – 150 RECOGNISED. MGM Medical College, Navi Mumbai is established in Aug. 1989. It is a constituent Unit of MGMIHS in accordance with its vision and mission to improve quality of life of individual and community in the less developed region of near districts and other needy parts of Maharashtra. It provides well trained doctors and specialty and superspecialist to the need of the community. The College runs various Medical Courses UG (MBBS) – 150 seats ,PG ( MD/MS & Diploma) – 92 seats & Super specialty ( MCh. & DM) – 3 seats recognized/ permitted by Medical Council of India .. The well experienced faculty from different parts of the country had taken a pioneering role in establishing this institute. Dr. G.S. Narshetty, present Dean has taken a new mode in academic excellence, Research & patient care as per the guidelines of MGM IHS & Medical Council of India. MBBS – Recognised for 100 seats. Increase intake permitted no of seats 100 to 150 from academic year 2017-2018.